Most people think that they do not require any investment advice. They think they can manage on their own. But it is not true. A Sebi Registered Investment Adviser will add value and helps in creating wealth with investment advice in your better financial journey of Investment planning and Financial Planning.He will help you in planning for house, retirement, child education and insurance etc. I know you people do not agree. I will give an example where some of my clients and my paisa health youtube channel subscribers. Do read this article though you are not a Govt. Employee of Andhra Pradesh and Telangana. There are Lacks of Government Employees working in Andhra Pradesh and TheTelangana States. These are State Government Employees. All these Government Employees are having a Government Managed Life Insurance Called APGLI/TSGLI. APGLI in Andhra Pradesh and TSGLI in Telangana. However, Every Government employee must save some money into this APGLI/TSGLI based their basic salary. Therefore, Every Government Employee of these two states is saving some money in APGLI/TSGLI. Here comes The Sebi Registered Investment Adviser role. APGLI/TSGLI in recent years announced a bonus of Rs.100 on the sum assured. Few employees of both these states started believing that APGL/TSGLI is giving 11.5% interest on the premiums. Hence they started contributing more towards APGLI/TSGLI over and above mandatory premium contribution. In some cases this contribution towards APGLI/TSGLI is more than Rs.10,000 per month. Here comes my role of being a Sebi Registered Investment Adviser. I know clearly that APGLI/TSGLI will not give 11.5% on the premiums paid. But people need proofs and analysis. Then I did some analysis and wrote an article about APGLI/TSGLI interest. Click here to read the article. In this article, I have proved that APGLI/TSGLI saving will not give 11.5% interest. What advice that Sebi Registered Investment Advice to these State Government Employees? Let’s assume that a Government Employee is saving Rs.3000 monthly in APGLI/TSGLI. But the mandatory limit for this Govt. Employee is only Rs.1,000. Let’s assume his age at present 28 years and retirement age is 58 years. (differs from state to state). If this Govt. Employees continue to pay Rs.3,000 till his retirement. Then he will get some maturity. The maturity figures are given in the image below. Being a Sebi Ria, I advise the following strategy to the State Government employee. 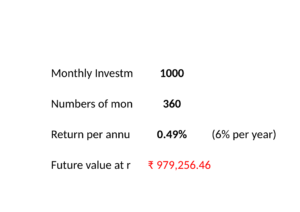 He can invest mandatory amount Rs.1,000 in Apgli/Tsgli and balance Rs.2,000 in an asset class where he will get 10% interest or return per year. See the image for the maturity from Apgli/Tsgli. 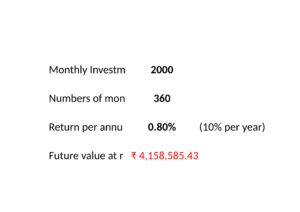 The maturity amount from this investment is shown in the image below. So, if You add step1) value and Step 2) value you will value 50 lacks approximately which is much higher than the value received from pure APGLI/TSGLI savings of Rs.3,000 per month till retirement. Approximately 20 to 23 lacks of more wealth will be created if they follow a Sebi Registered Investment Advice. But unfortunately, Many Andhra Pradesh and Telangana State Government Employees are losing huge wealth because of their misconception about APGLI/TSGLI savings. In a conversation, a Govt. 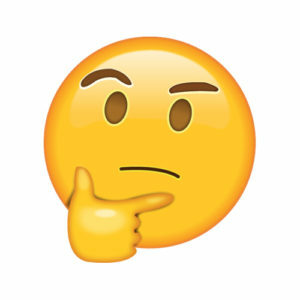 School teacher told me that Superintendent Police level Officers also calling him about the APGLI/TSGLI maturity after seeing the maturity calculation in this website. To see calculation click this link. Here, I am not making fun out of S.P Officers. My intention is to say the need of Sebi Registered Investment Adviser. I request you to read the article about APGLI/TSGLI will destroy your wealth. Click here to read. I have seen people some Govt. Employees saving Rs.10,000 and more in APGLI/TSGLI. God must save them because they are losing at least 1 crore of wealth creating opportunity. In this article I have explained about APGLI/TSGLI that does not mean, a Sebi Registered Investment Adviser is useful to only State Government Employee. He has the capability and skill to give Financial Planning, investment planning, retirement planning etc. to Doctors, Lawyers, Self Employed and Business People. We all pay huge commissions to our real estate agents. Sometimes even in lacks. Sebi Registered Investment Adviser has more skill and more capability and will deliver more than your real estate agent. In India, People do not have awareness about Sebi Registered Investment Advisers. Therefore, People treat them as agents. Sebi Ria is a solution provider like a Doctor who puts your growth in first place and his growth in second place. I hope after reading this article at least some people start recognizing Sebi Registered Investment Advisers. Also, read the article about NPS/ Cps – Tax Rules… Click here to read. Read about Sebi Ria regulation. Click here to read.